The map above is titled: “Tearing Mexico Apart: Eight Ways to Divide Mexico By Stereotypes” and was created by reddit MAPMENOW who claims that: “It was created based on my own experiences as Mexican…”. 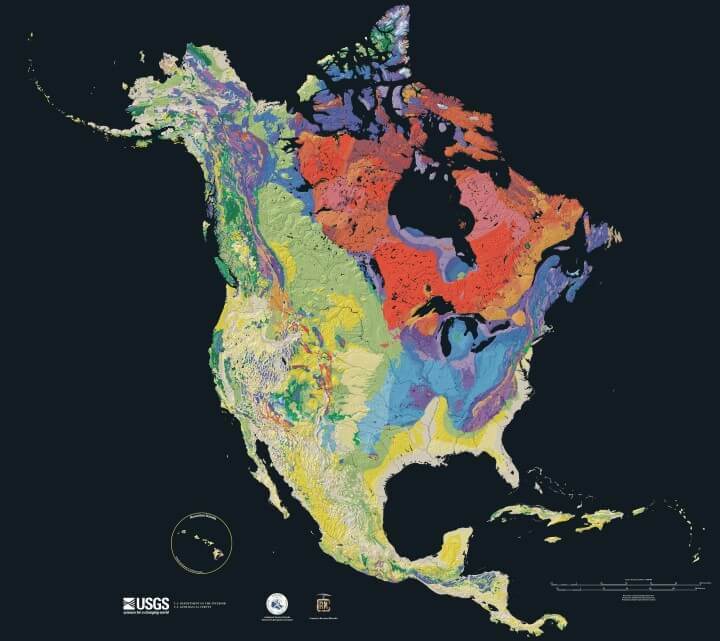 The map above shows the ages of bedrock in North America from yellow (youngest) to green to blue to red (oldest). The maps official name is the The North America Tapestry of Time and Terrain. 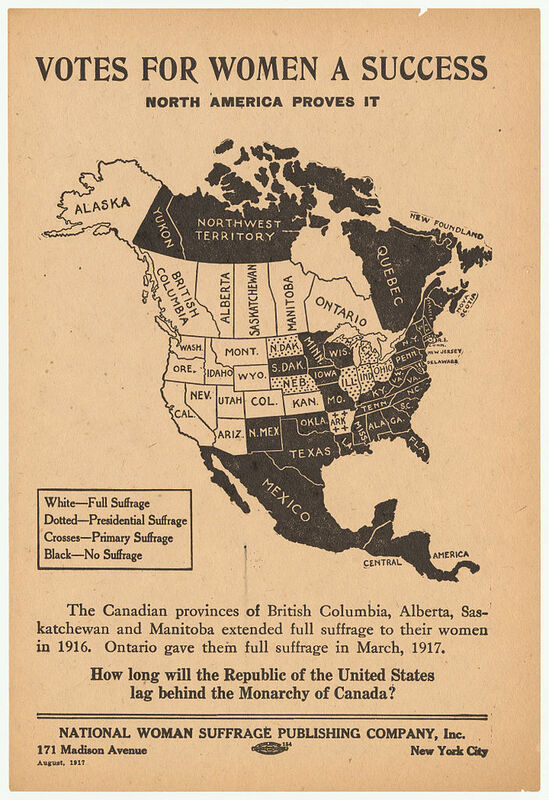 The map above shows the state of Women’s Suffrage in North America just 100 years ago. Amazingly, the majority of women in the United States still did not have the right to vote. By mid-1917, the majority of Canadian provinces offered full suffrage to women, with the exceptions being Quebec and the Atlantic provinces (note Newfoundland would not join Canada until 1949). However, in the United States the only states offering women the full right to vote were out West. Eastern, Southern, and Mid-Western states did not for the most part. 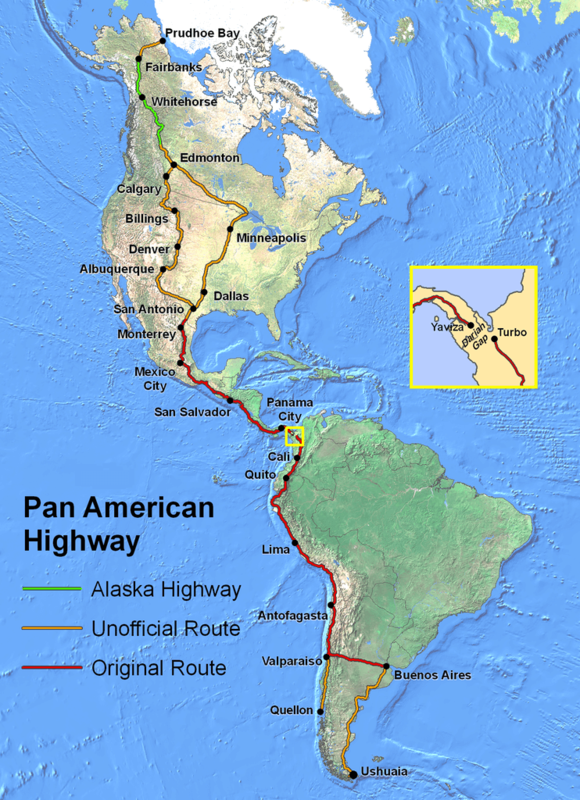 At its fullest extent the Pan-American Highway is a network of roads stretching from Prudhoe Bay, Alaska, to Ushuaia, Argentina, a distance of around 48,000 kilometres (30,000 miles). 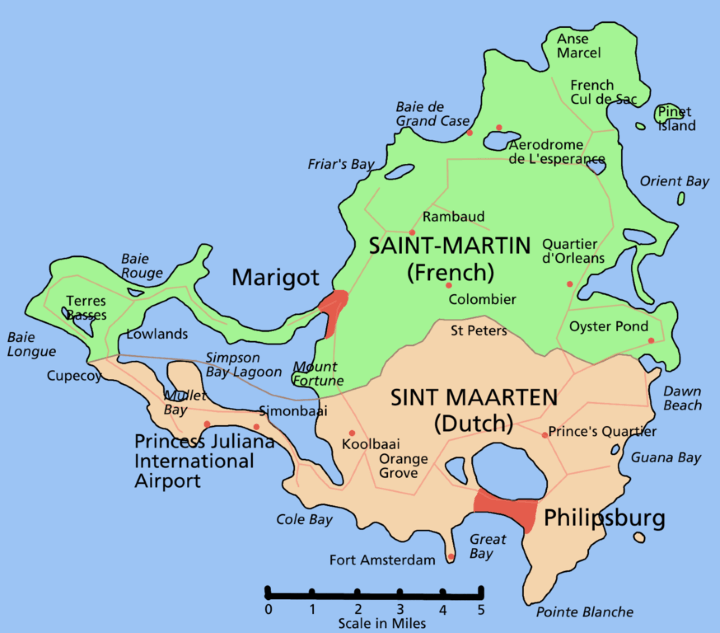 Saint Martin (French: Saint-Martin; Dutch: Sint Maarten) is one of the Renaissance Islands (along with Anguilla and Saint Barthélemy) situated at the northern end of the Leeward Island chain in the northeast Caribbean. Fact: With an area of only 87 square kilometres (34 square miles), it has the distinction of being the smallest inhabited island that is divided between two nations. The mesmerizing map below was created by the scientists at the Cornell Lab of Ornithology. 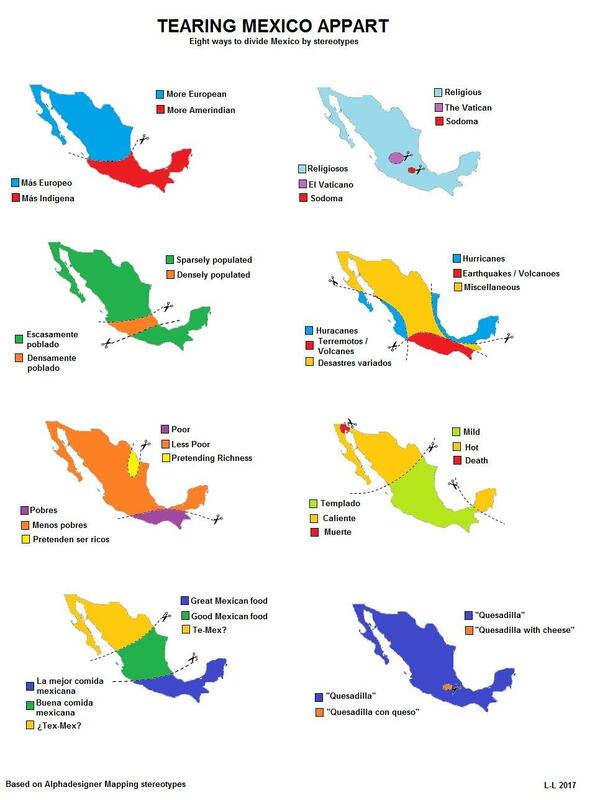 It shows the migratory patterns of 118 bird species throughout the Americas. Each dot represents the average of location of one bird species for each day of the year. I think it’s fairly safe to say that most people who read Brilliant Maps, probably have little to no idea about the ethnic make-up of Venezuela. Fortunately, geographer Gabriel S. Dávila was kind enough to share his beautiful interactive map with us. 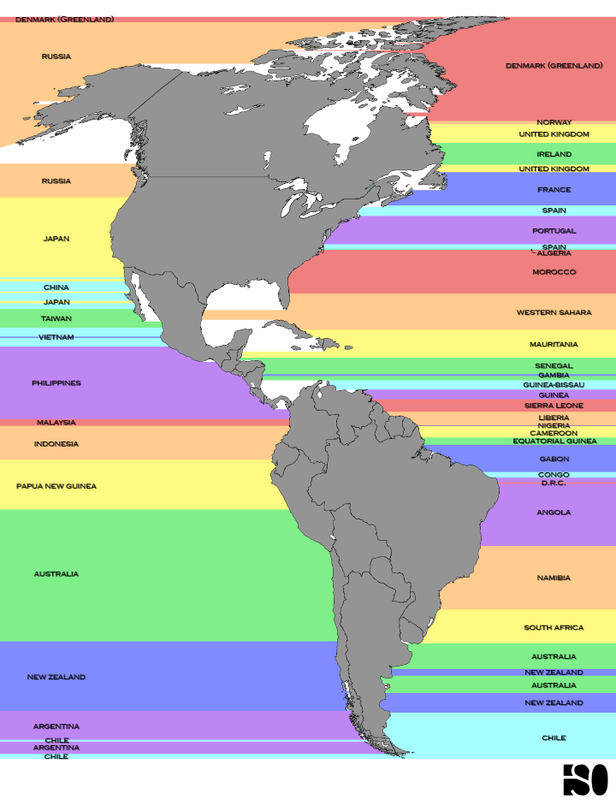 Which Countries Are Due East And West Of The Americas? Ever sit on a beach and wonder what’s on the other side of the ocean? Well if you live anywhere in the Americas, the map above has your answer. It shows which countries are due east or west. Perhaps most interesting countries on the map are Chile and Greenland, where it’s possible to sail right round the world and still end up in the same country.